Snapshots are not a replacement for regular backups. 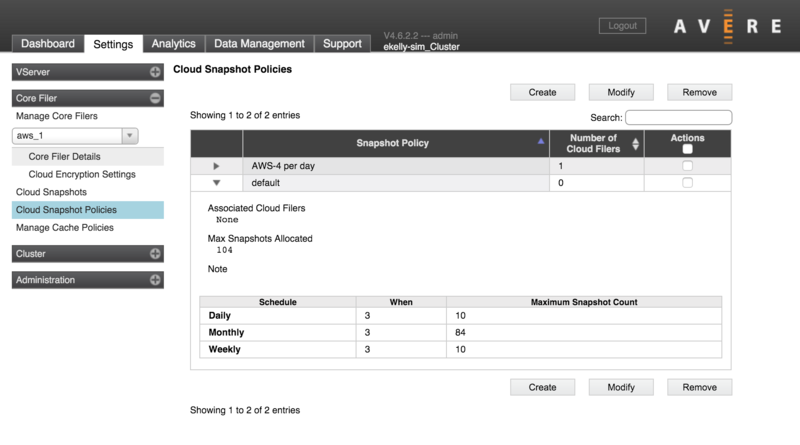 Because Avere OS cloud snapshots are stored in the Avere cluster, it’s possible to lose snapshot records along with the stored data if a significant failure occurs. Avere Systems recommends backing up important data regularly to a separate storage system. Specify the schedule time in 24-hour format. 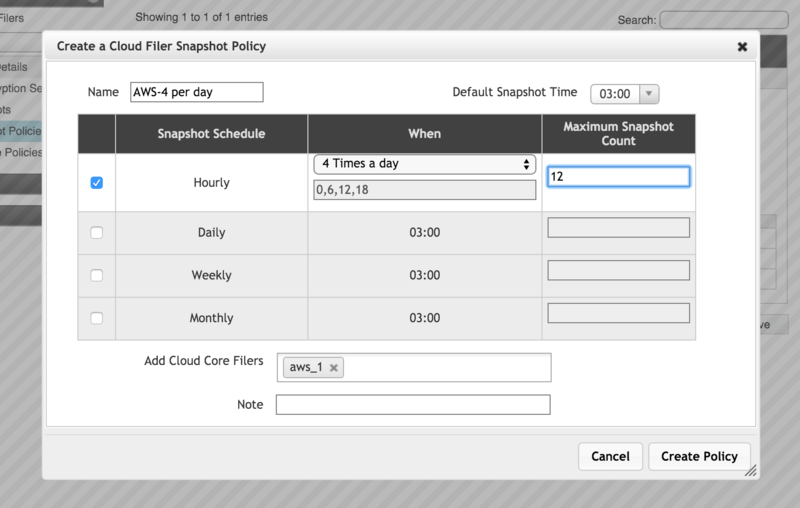 Snapshot times are based on the Avere cluster’s time setting.